In further efforts to prove their relevancy and stave off privatization, the PLCB is now jumping into the world of mobile apps. 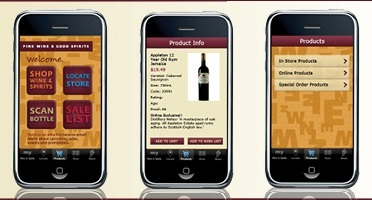 They recently launched an iPhone app (Droid version coming soon) that allows users to shop for wine & spirits online, browse their catalog, see sales, find store info, create a wishlist, and scan a bottle’s barcode to determine PLCB price and where it’s available (pretty cool). We have to say the app looks and works pretty well from playing around with it for a few minutes. Definitely a welcome addition to the PA booze world. The whole problem with a government monopoly is that if you have the bottle in your hand to scan the barcode it isn’t like you will find someplace else with a better price. Agreed 100%. I’m not a PLCB fan, however if we have to live with it having a tool to make the system easier to use is good, I suppose. I’m not sure how it makes the system easier since you have to be in a state store to have the bottle in your hand to begin with. You’ll know the price and for the very rare times when you don’t want to buy it in the store you are in but would rather drive to a different state store I don’t know if it was worth wasting our tax dollars (since all funding of the PLCB is really our tax dollars) to have that function. Oddly, you have to be 17 to DL the app but there is no age restriction to browse the PLCb website. There’s definitely been times when I’m at a dinner with a friend or something and I want to remember the bottle for later to lookup and purchase. The app would come handy in those times…scan the bottle, see where it’s at near you, and add it to your wishlist.